The Children's Hour (released as The Loudest Whisper in the United Kingdom) is a 1961 American drama film directed by William Wyler. same title by Lillian Hellman. The film stars Audrey Hepburn, Shirley MacLaine, and James Garner. 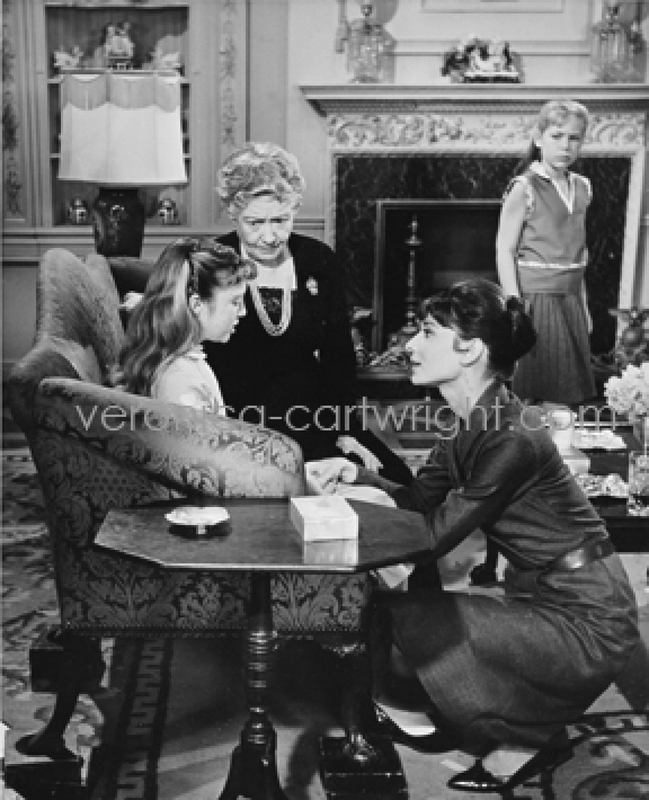 Former college classmates Martha Dobie (Shirley MacLaine) and Karen Wright (Audrey Hepburn) open a private school for girls. Martha's Aunt Lily (Miriam Hopkins), an aging actress, lives and teaches elocution at the school. After an engagement of two years to Joe Cardin (James Garner), a reputable obstetrician, Karen finally agrees to set a wedding date. Joe is related to the influential Amelia Tilford (Fay Bainter), whose granddaughter Mary (Karen Balkin) is a student at the school. Mary is a spoiled, conniving child who bullies her classmates, particularly Rosalie Wells (Veronica Cartwright), whom she blackmails when she discovers her in possession of a student's missing bracelet.